On Wednesday, Heather was escorted, in handcuffs, out of the Capitol in Washington, D.C., at a protest of Dreamers and Jewish activists in support of DACA and immigrant rights. At the time, she didn’t know it was Paul’s last day. Paul had died unexpectedly at 7:30 p.m. of complications of leukemia. Although Vietnam preoccupied Paul and SDS, he also sought to expand the movement’s horizons. 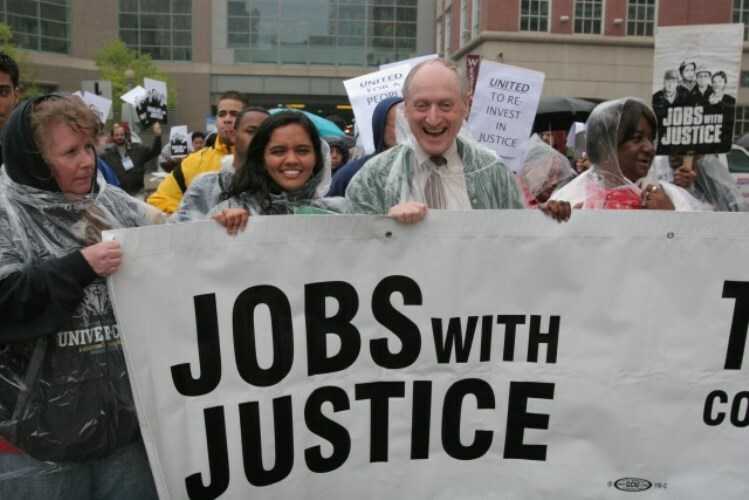 In March 1965, with SDS support and drawing on union and civil rights tactics, he organized a sit-in at the Chase Manhattan Bank in New York City to draw attention to the bank’s ties to the pro-apartheid regime in South Africa, prefiguring the international divestment movement that helped bring down the regime in the 1980s. On Monday, from his hospital bed, Paul wrote a message to the hundreds of friends who had posted comments on the website. He reminded them of the Memphis sanitation workers’ strike 50 years ago, a campaign in which AFSCME helped the African American workers win a union contract and better pay and working conditions. This first appeared in The American Prospect.